The National Egg & Poultry Awards is an annual event which recognises excellence and innovation in the egg and poultry sectors. 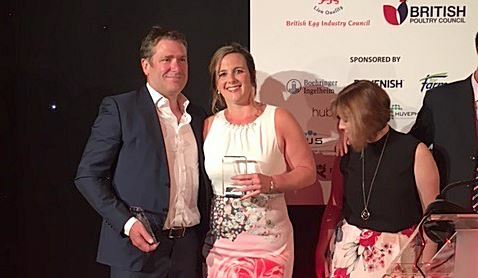 Anna Healy, hatchery manager at Joice and Hill, won the “Unit Manager of Year” and Nick Bailey accepted the award for “Hatchery of the Year”. The awards were presented by BBC’s sports presenter, Hazel Irvine, who cracked a succession of egg based puns, much to everyone’s amusement. The best one being a reference to Joice and Hill’s double yoker!